Min Altitude 2190m / 9547 ft.
Jiri to Everest Base Camp is classic adventure trekking route of Nepal, which starts from foothill of the Himalayas to reach the world highest mountain base camp walking through varied landscapes and vegetation, mixed cultures, remote villages and a wonderful view of some of the world highest mountains. 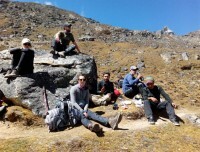 Trekking from Jiri to Everest Base Camp comprises of all great chance to witness the cultural and natural beauty of lower and upper Everest region along with the majestic view of the snow-capped mountains throughout the trail and a good way to observe same peaks on different shapes and different angles. Jiri to EBC Trekking starts with a scenic drive from Kathmandu to Bhandar (as the road has got better these days) and walk through beautiful villages of different ethnic group and green landscapes hearing the stream roar and pleasant sound of nature. We acclimatize ourselves walking up and down watching the magnificent view of Everest and other several highest peaks and feeling the change in vegetation, landscapes, and weather. Our week adventure in the lowlands will take us to Gateway to Everest — Namchee Bazaar, where we rest for one day to explore the area and visit Everest View Hotel. The journey continues through barren landscapes after crossing Tyangboche Monastery and Dingboche village as we are near to Everest Base Camp. 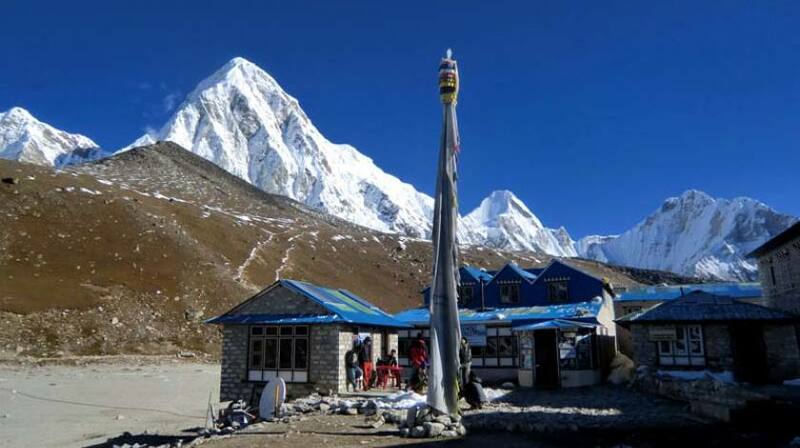 We shall make a visit to EBC and later climb Kala Patthar viewpoint to witness the stunning panorama of world highest mountain range. We start descending from our last teahouse of Gorakshep to Lobuche and further to small Pheriche village. With all the memory gathered in mind, rest in soul and images in camera, we trek towards Lukla village and catch our flight back to Kathmandu, saying goodbye to the Himalayas until next time! If you have limited travel time and still want to visit EBC then alternative route Itinerary of Everest Base Camp — 13 days is worth thinking about.